The Ministry of Infrastructure of Ukraine has prepared a number of proposals to counteract Russia as part of its activities in the Azov Sea basin and in the occupied territories, including termination of passenger traffic, Minister of Infrastructure Volodymyr Omelyan has told Interfax-Ukraine. "We have prepared a number of countermeasures on what is happening on the part of the Russian Federation in the occupied territories and in the Sea of Azov. They include termination of railway communication with Russia. The issue was discussed at interdepartmental working meetings at the Ministry of Infrastructure. We want this issue to be discussed by the government or the National Security and Defence Council of Ukraine so that the relevant decision could be made at the state level," he said. Omelyan said now this concerns only termination of passenger rail communication. "At this stage, we are talking about regular railway passenger service. 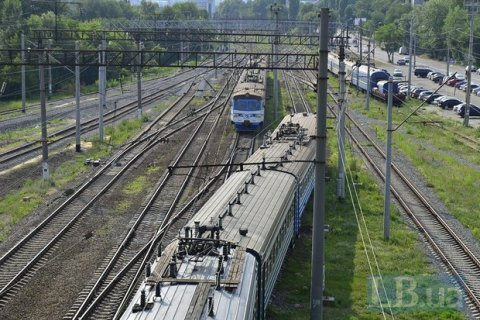 As for cargo transportation, there is a problem not only that Ukrzaliznytsia will lose substantial revenues in its budget, but also with the international legislation, in particular, with those obligations Ukraine undertook in the framework of the World Trade Organization. Therefore we are now studying this issue rather than promoting," he said.